Thanks for the post Tom…I am just curious about your comments about “fidelity”. I am wondering if when you implement something in a school, district, etc., if there is flexibility at all? A “program” sometimes does not necessarily meet the needs of an organization, or the kids you are serving. I also believe that sometimes when you allow for some flexibility, you give your people the opportunity to be innovative and grow the program as well. I know that it is important to use the research already provided, but often it is with a certain group of students. With personalized learning (which should be for staff and students) I am not sure how a standard, across the board program really serves all. Thanks for the comment George. Maybe the post should have been more clear, but it has nothing at all to do with one size fits all, across the board “programs”…it’s not about programs at all. Future posts (as this was part 1) will deal with contextualization, flexibility, etc. The point is really to stay true to the fundamentals. When we implement “best practices” we should ensure that we are following “best practice.” I’ve seen a lot of things called AFL, for example, that are not; same with differentiation, etc. All done in the name of “research” but they are so far from what the research tells us that their empirical support is now compromised. I like Tom. Good point George. I think or hope we are referncing what “a school” plans to bring forth into their community? With is said and to that ends we all know and realize it is often times about the “district.” I think much depends on the Distriuct Head to allow for reform, flexibility and dare to take risks to do whatever his building level leader see and have researched as being both effective and efficinet…. Thoughts? Thanks for the comment Bill. I agree with flexibility and contextualization, however, we have to balance that with the conditions under which the “best practice” was first uncovered. Another word I like is accuracy. If we are going to call something “research-based” then we have some responsibility to be accurate with what we implement. If we stray too far and don’t see the expected results, it may be our implementation choices (and not the practice) that limited our success. Thanks for commenting. At the risk of repeating myself, this post was part 1 and not intended to be comprehensive. Therefore, other aspects of effective implementation have been saved for future posts. Fidelity for me means accuracy. Being too “tight” doesn’t allow adaptations for context; too loose and we risk actually not implementing the best practice we said we were going to implement. Fidelity comes when I know what I’m talking about and I have the capacity (confidence) to follow through on implementation. I am an education major at the University of South Alabama and I am taking EDM310. I enjoyed reading this post and it gave me a lot to think about! Yes, fluency and capacity are very important when implementing a new idea. 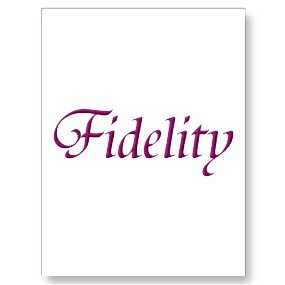 More importantly, I agree with you that fidelity should be number one on the list and of utmost importance. Why is it that sometimes the hardest thing for people to do is to make a change!!??!! I guess we are all creatures of habit and it is so easy to keep on doing the same things over and over again! If we just take that first initiative and step out into the unknown! The first step is always the hardest! As educators, we always need to be able to take risk and move forward and expose our students to new ideas and techniques. We, of all people, should never be afraid of new ideas. We should never become stagnant and comfortable! We always need to step out of our comfort zone and take risks. We should have a true fidelity to our students and to bringing new ideas into the classroom! Thanks Kathy! I think change is sometimes difficult because we don’t give enough attention to the emotional aspects of change. That is, the support I need (or for leaders the support I need to provide) that build a positive emotional climate that supports people taking risks and trying to improve. Thanks for commenting!